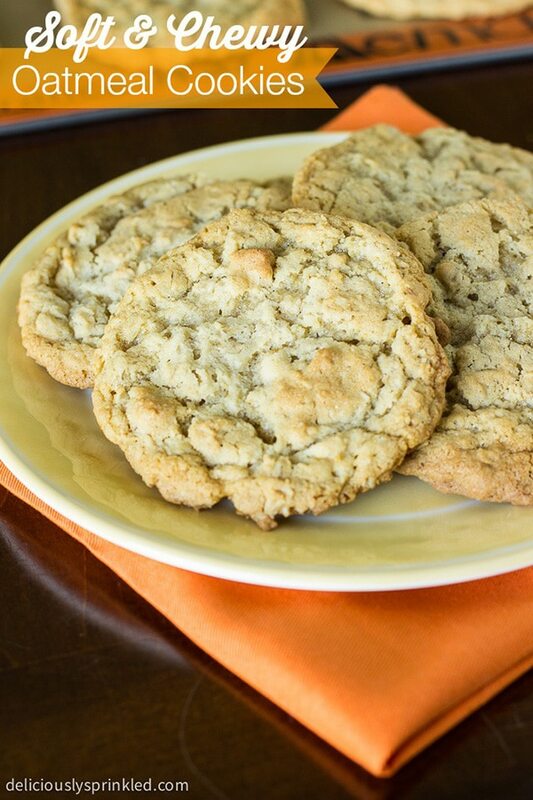 These Homemade Oatmeal Cookies are certain to bring a smile to your face! 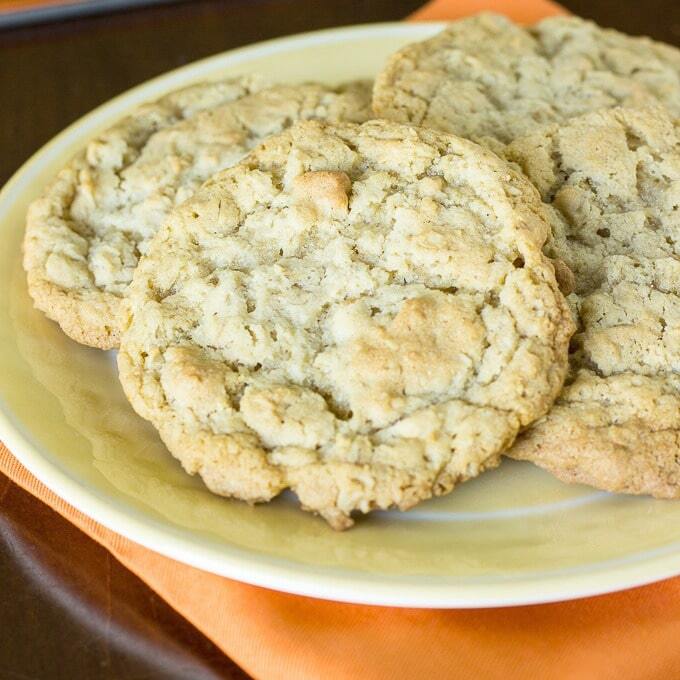 There’s just someone about good ol’ fashioned oatmeal cookies that I just love. The combination of the oatmeal in the cookie creates a texture that I find myself craving throughout the year. While most people only make oatmeal cookies during the cold, winter months, I think it’s time that we start to give these Oatmeal Cookies the recognition that they deserve! Who says that these have to be reserved for just one season? There are four glorious cookie eating seasons every single year, so not making these oatmeal cookies during each and every one of them is a shame! 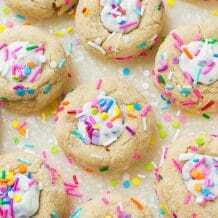 Yes, they are great for holiday baking and sharing with those that you love but can’t you imagine packing up some of these delicious cookies for a picnic or outdoor hiking adventure as well? In my opinion, there’s never a wrong time to make cookies…you just have to find the recipe that works best for you. 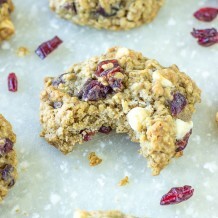 If you love oatmeal, and you love super yummy cookies, this recipe needs to be on your radar. Don’t take my word for it…make up a batch for yourself and see what you think! ● BUTTER: 1/2 cup (1 stick) unsalted butter. Make sure the butter is softened to room temperature before making these cookies. ● SHORTENING: 1/2 cup of shortening. ● BROWN SUGAR: 1 cup of light brown sugar. ● SUGAR: 1 cup of granulated sugar. ● EGGS: 2 large eggs. ● BAKING SODA: 2 teaspoons of baking soda. ● SALT: 1 teaspoon of salt. ● BAKING POWDER: 1/2 teaspoon of baking powder. Just a quick baking tip, make sure you’re using a new container of baking powder. ● VANILLA EXTRACT: 1 Tablespoon of vanilla extract. 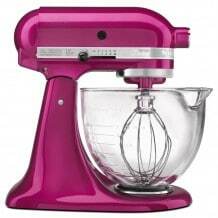 ● FLOUR: 2 1/4 cups all-purpose flour. ● OLD FASHIONED OATS: 2 cups of old-fashioned oats. STEP 1: In a large bowl, using an electric or stand mixer, cream together the granulated sugar, light brown sugar, butter, and shortening. STEP 2: Add eggs one at a time, mixing between each egg. STEP 3: Add baking soda, salt, baking powder, and vanilla extract. 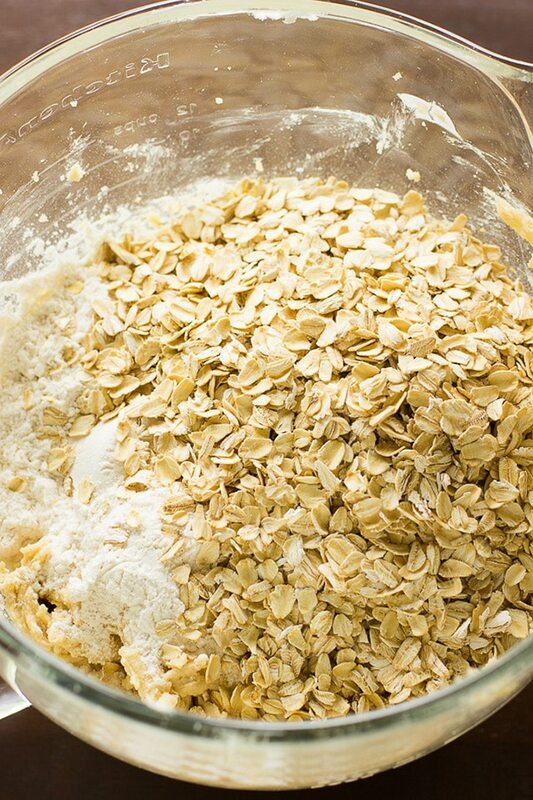 STEP 4: Add flour and old-fashioned oats until just combined. DO NOT OVERMIX! 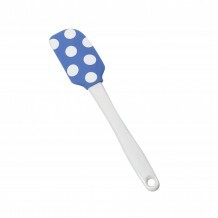 STEP 5: Using a cookie scoop, scoop dough into balls about 2 Tablespoons each and place onto prepared baking sheet. 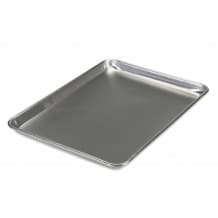 Place baking sheet with cookie dough balls in the freezer for 10 minutes. Once chilled, slightly press down the cookie dough balls and place back onto prepared cookie sheet. STEP 6: Bake for 10-12 minutes or until edges are lightly browned. Let cool for 5 minutes on baking sheet before moving them to a wire rack. DON’T OVERMIX: With almost all my cookie recipes, I always make sure to remind you to not OVERMIX the cookie dough. Meaning, when you mix the flour mixture into the wet ingredients, only mix them together until just combined…you should still see some flour in your mixing bowl. 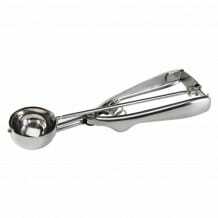 SCOOPING THE COOKIE DOUGH: I always use a 1 Tablespoon cookie scoop, each cookie dough ball has “2 scoops” of cookie dough, meaning that each cookie dough ball is 2 Tablespoons in size. In my opinion, this is the perfect sized cookie. If you don’t have a cookie scoop, you can use an ice cream scooper but you will only need 1 ice cream scoop of cookie dough. In a large bowl, using an electric or stand mixer, cream together the granulated sugar, light brown sugar, butter, and shortening. Add eggs one at a time, mixing between each egg. Add baking soda, salt, baking powder and vanilla extract. Add flour and old fashioned oats until just combined. DO NOT OVERMIX! Using a cookie scoop, scoop dough into balls about 2 Tablespoons each and place onto prepared baking sheet. Place baking sheet with cookie dough balls in the freezer for 10 minutes. Once chilled, slightly press down the cookie dough balls and place back onto prepared cookie sheet. Bake for 10-12 minutes or until edges are lightly browned. Let cool for 5 minutes on baking sheet before moving them to a wire rack. * STORE: Cookies will stay fresh for up to 7 days in an airtight container, stored at room temperature. * FREEZING: Roll the dough into balls and place them in an airtight container. You can freeze the cookie dough for up to 2 months. To bake, place frozen cookie dough balls onto prepared baking sheet and bake for 16-18 minutes. 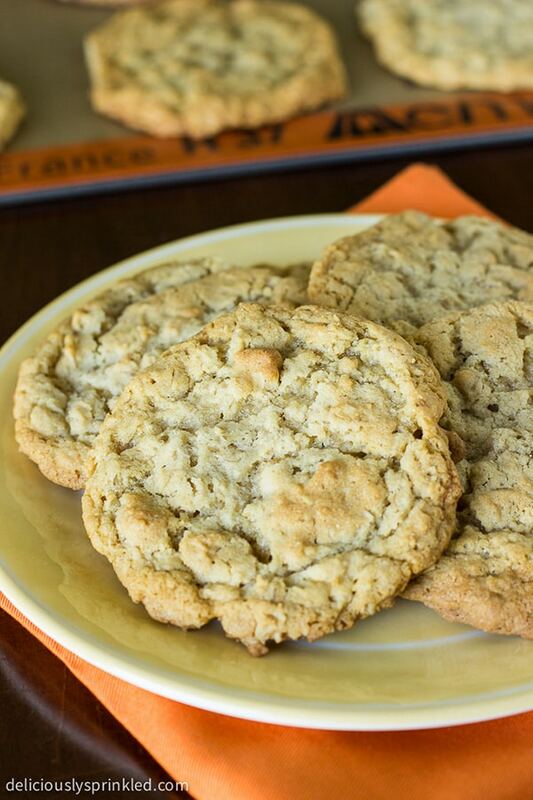 We love these chewy oatmeal cookies! Perfect treat with a hot cup of coffee!!! These were so good! A huge hit with my kids! Simply incredible! 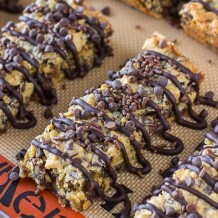 I am making these this weekend! Nothing like a homemade oatmeal cookie! These look so delicious! This is my GO TO! Perfect every time! I’ve never had a worry about over mixing. I don’t freeze and press before baking. I have used medium and large cookie scoops. Adjusting and watching my baking time according to the size and my oven. I’ve added everything from chocolate, to dried fruit and most recently- maple chips! Yum! Did I say my go-to? Ha! It’s that perfect. You’ll never ever need another oatmeal recipe. Promise! Just made these oatmeal cookies, so easy and yummy! I consider myself a pretty good cook, but am so NOT a baker. These will now be my go to cookie, because the directions were so clear and easy to follow, and they are tasty! 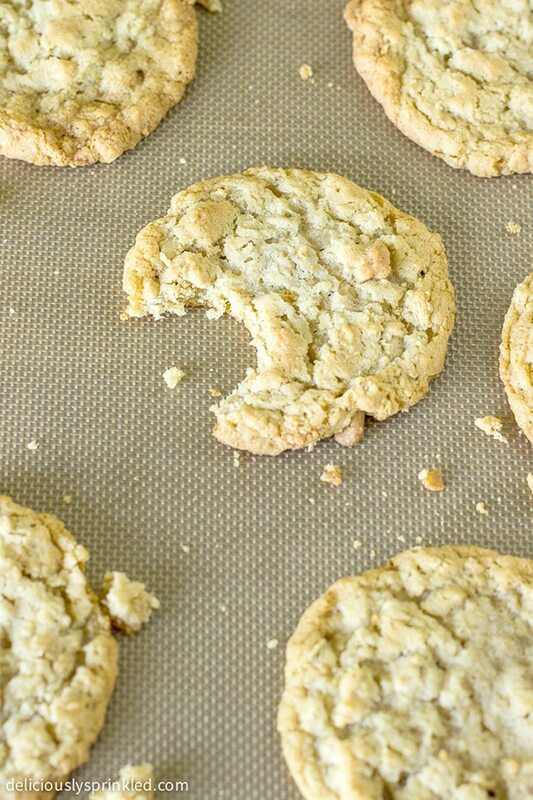 Just made these yum and another yum,plain batter great flavor, added cinnamon and sugar topping,now my go to cookie recipe. I just made them. WOW! I put coconut oil instead of shortening and used only brown sugar and added some walnuts, almonds and pumpkin seeds. Amazing. I was looking for a really good recipe for a long time but nothing ever came close to this. I ate a bunch straight away. ???? I substituted the shortening for the coconut oil -Fabulous!!!!???????????????? My husband takes them to work to share with his work buddies & they love them too!!! Gonna try the almond extract this time. 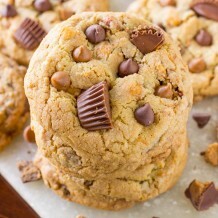 Oh-almost forgot to mention, I add in chocolate chips plus butterscotch chips.- I make these everytime – its my go to recipe!- THANK YOU!!!! We love them! Instead of shortening I used coconut oil and I didnt bother freezing for 10 minutes before I baked and they turned out fantastic! Great recipe! Fantastic! I added pumpkin pie spice to add some fall flavor and they turned out amazing! Thank you!! I’m in love with these cookies. I just put straight on baking sheet while chilling in freezer then once out sit for about 2 minutes then to the oven. I bake a little longer but they Rock. My brother who is finicky had me make him his own batch. ???? Add just 1/2 tsp of almond extract and they have a delicious sweet hint. All in all, a very delicious recipe, thank you so much for sharing! These are wonderful! Exactly what I was looking for. The recipe says not to over mix and that is the secret to soft fluffy cookies. Dipped the edges in melted white chocolate. These are the best oatmeal cookies I have ever made. I made them a bit smaller and got a weeks worth of lunch treats out of one batch. Thank you! I made these today, and they’re DELICIOUS! I didn’t think I had vanilla extract – turns out I did, just in a different bottle than usual – I used almond extract. The cookies are still amazing, but the almond makes them a whole lot sweeter, which doesn’t necessarily match my taste. Other than that – which is a fault on my part – they are to DIE for. 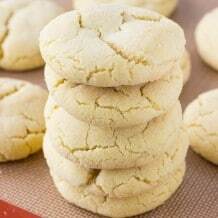 If I use butter to substitute the shortening, are the cookies still going to be soft and chewy? My husband’s favourite cookie! Awesome recipe. 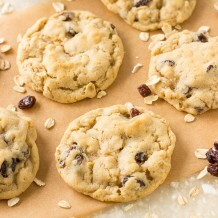 Next time I think I’ll try half cherry and almond extracts instead of vanilla to make like an amaretto oatmeal cookie. Great recipe! I made these yesterday and they are a hit! The ONLY modification I made was to reduce the salt to a half teaspoon. I think they’re plenty salty enough and they rose fine. ???? I’ll be making these again. Thanks for posting! Can i leave out the shortening or substitute it for something else i hate shortening! Yes, you can use butter instead! Thank you !!! I loooove this recipe!! Perfection. 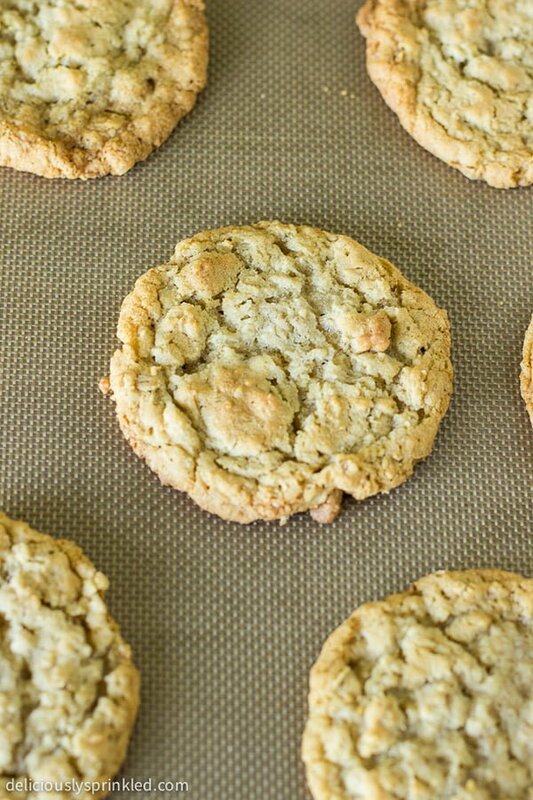 This is the best recipe I have ever used for soft and chewy oatmeal cookies! Thanks for sharing! Oatmeal cookies are my all time favorite. Simple flavor always makes my children feel better when they are home ill.